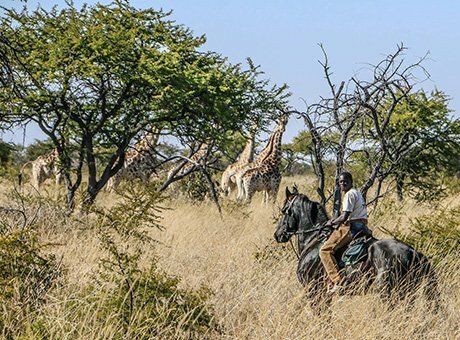 The hosts at all our Horse Riding Holidays centres do their utmost to ensure the safety of all guests at all times, but please bear in mind that horse riding is by nature a potentially harmful activity, and following some basic safety guidelines can minimise the risks. Always wear a suitable riding helmet. We recommend you bring your own, that meets current PAS and BSEN safety standards. Also wear appropriate other clothing. This means no long flowing loose clothes that could get caught up in tack, but it also means don’t wear shorts, as they are uncomfortable to ride in. Think about your footwear too – don’t ride in sandals, flip flops, any other footwear without a heel to catch on the stirrup, or open-toed shoes. Be honest about your riding ability and past experience. This allows your hosts to best match you with a horse to suit, and also makes them aware of whether you may need extra personal attention. Ride at an appropriate pace at all times. Never go faster so that you pass your guide at the head of the ride. 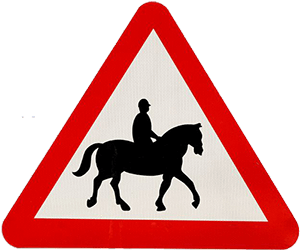 If you are a more experienced or more adventurous rider, never ‘hang back’ either, with the intention of then cantering or galloping to catch up, as this can cause danger for the entire group. Always check all tack, especially the girth (known as the ‘cinch’ in the USA and some other locations), before mounting and again after a few minutes of riding. Put your phone on silent if you’re bringing it with you! An unexpected noise such as a ring tone can spook horses. Always hold the reins correctly. 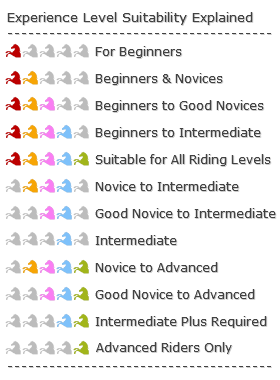 If you are a beginner or novice rider, your guide will show you or remind you how to do this. Know the signals. That means the signals for both humans and horses. Be sure before you set off that you are familiar with the hand signals your guide will use along the ride. And for horses, for example, if you become nervous and grip on tightly with your legs, remember this is often actually the signal for the horse to keep moving forward, not to stop! Generally, pay heed to your guide and show respect to the other riders, and everybody should be assured of a Horse Riding Holiday that is both enjoyable and safe.